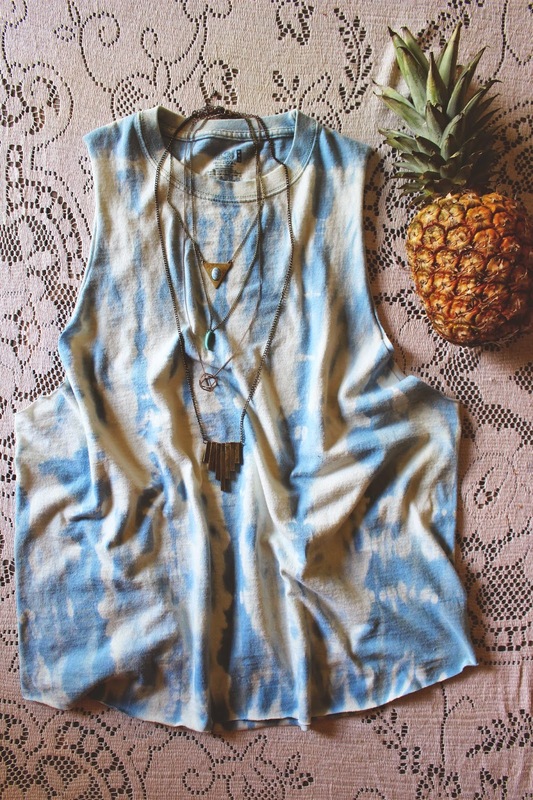 There is something about tie dye that I really like, if you haven't already figured that out. 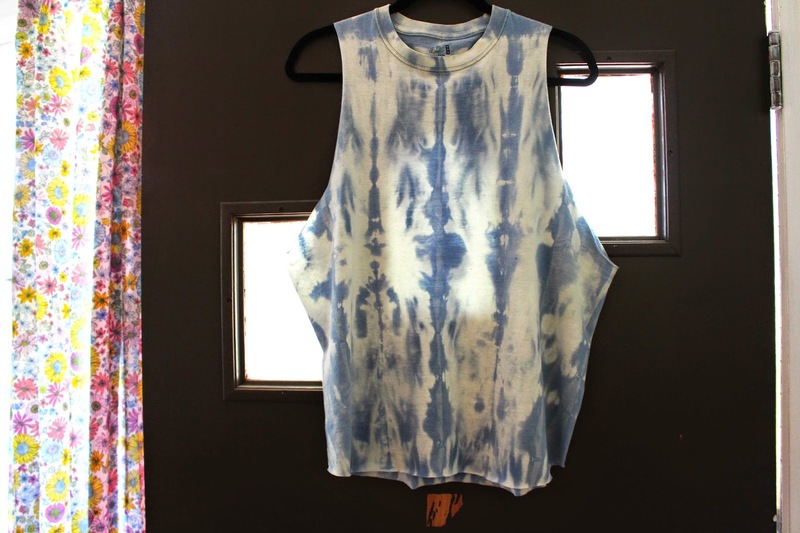 It doesn't have to be cheesy tie dye all the time, although there is a place for cheesy tie dye, sometimes. 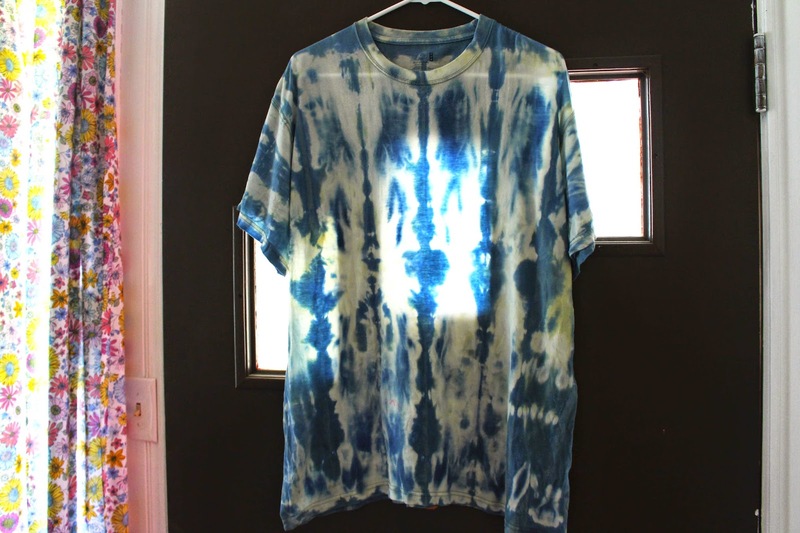 I think my favorite way to tie dye is using bleach on already colored materials. You never really know what you are going to get, but it always turns out great! 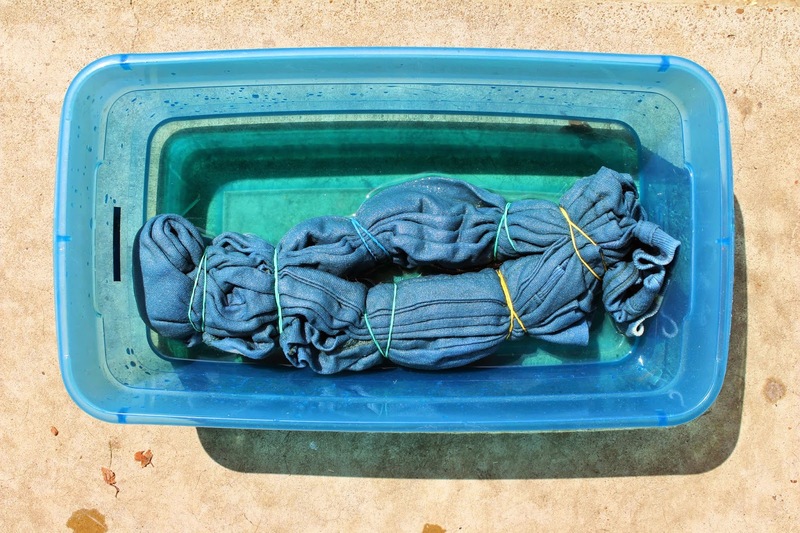 To bleach tie dye, you will need a shirt or some fabric that is already colored and mostly cotton. You will also need some rubber bands, bleach and a bucket that your shirt will fit in. This is my go-to folding technique. You just accordion fold the shirt and then randomly tie rubber bands around the shirt. 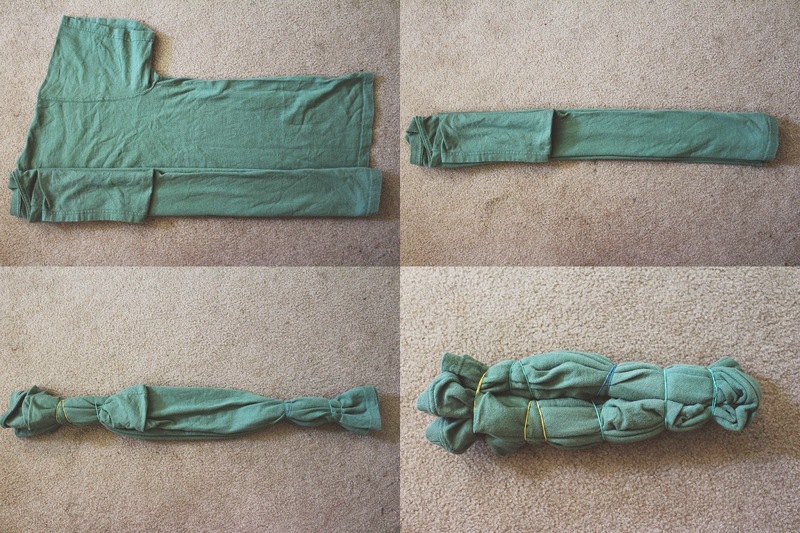 I also fold the shirt in half at the end and add rubber bands around both sides because it's hard to get rubber bands around the center of the shirt otherwise. The first thing you need to do it get your shirt wet. Just dowse it in water and put it in your bucket. Next pour bleach all over it. My shirt immediately changed colors. It was green. There are no specific measurements for this. I set the bucket out in the sun for the bleach to work more quickly. I left the bleach on for about 10 minutes. 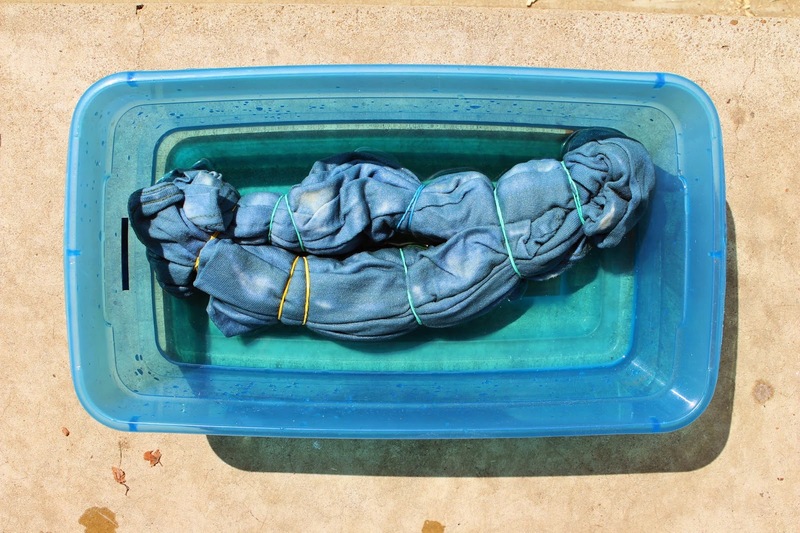 Next, you remove all the rubber bands and rinse your shirt out really well. I put mine in the dryer to dry completely and then I cut the sleeves off! I love the pattern that this shirt now has. 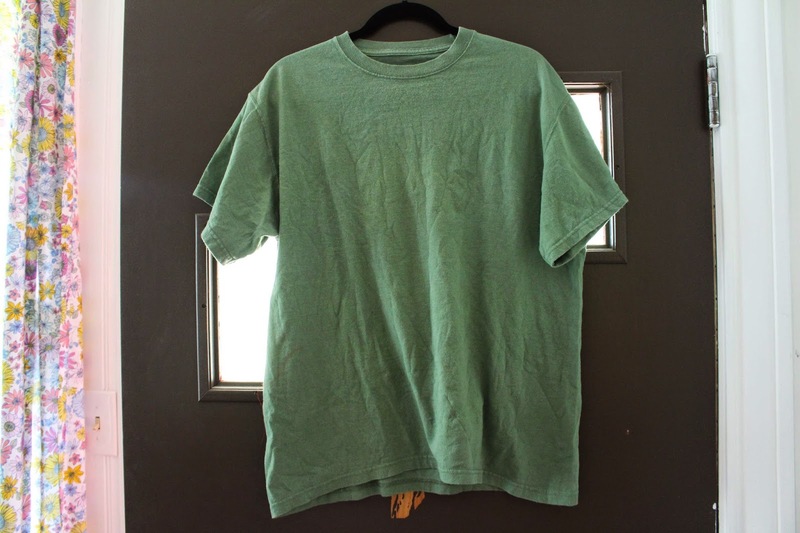 It's really interesting since the shirt has no trace of it's original color. I guess that is why I like this technique, unpredictableness. That's not a word... but you namsayin'. Need to do this! I love tie-dye shirts. last time I did one I was in high school! !